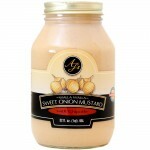 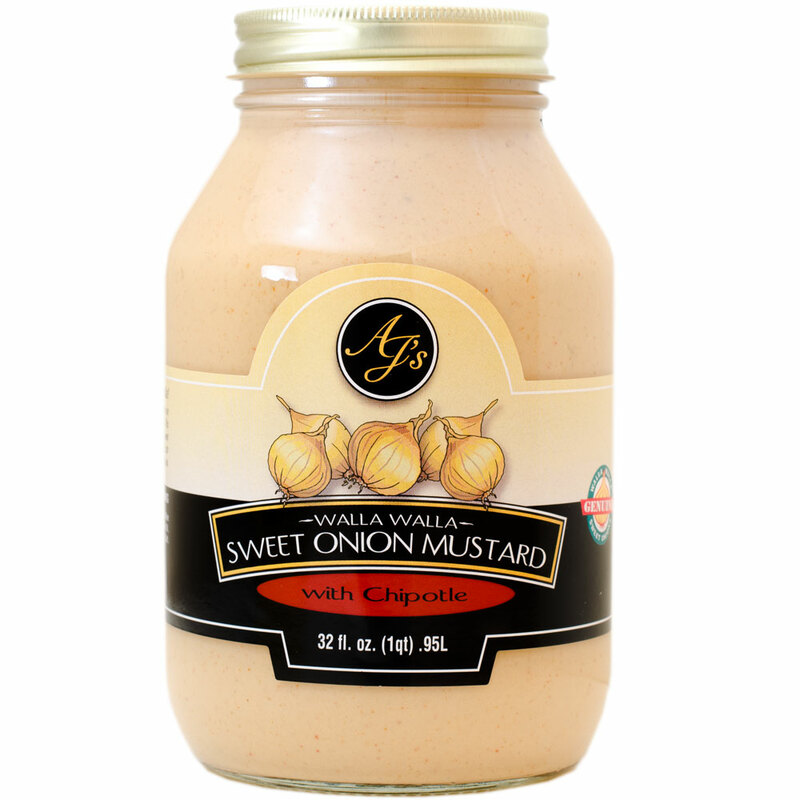 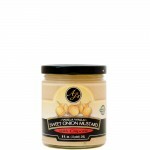 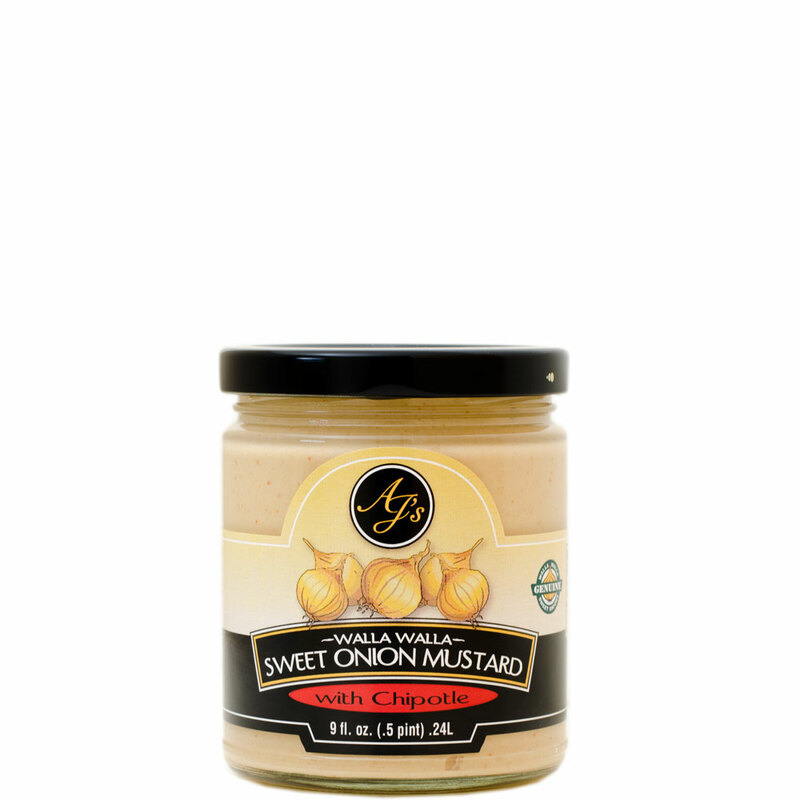 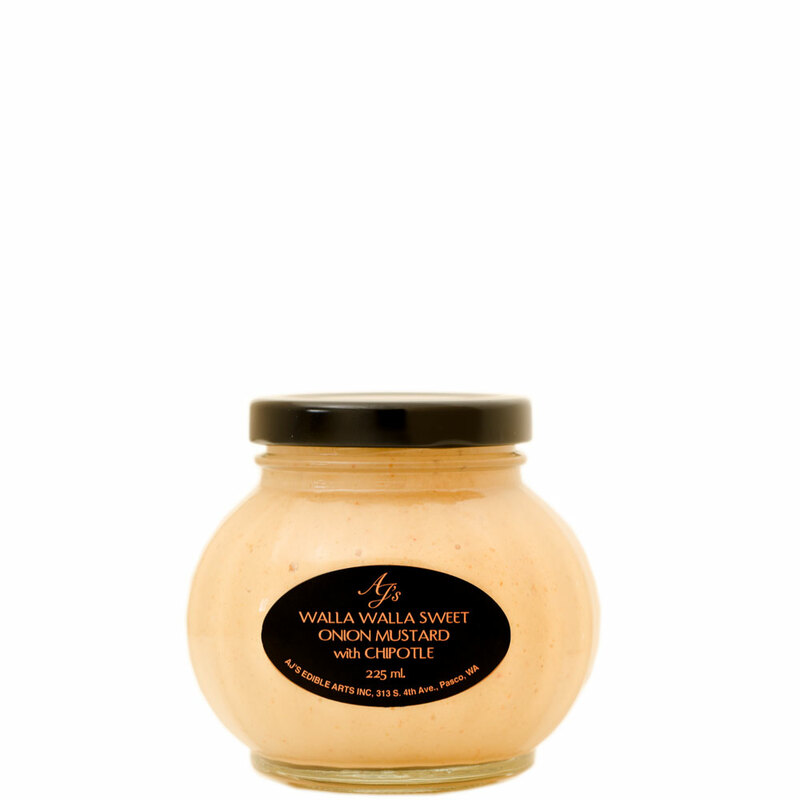 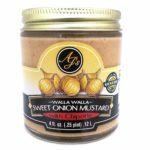 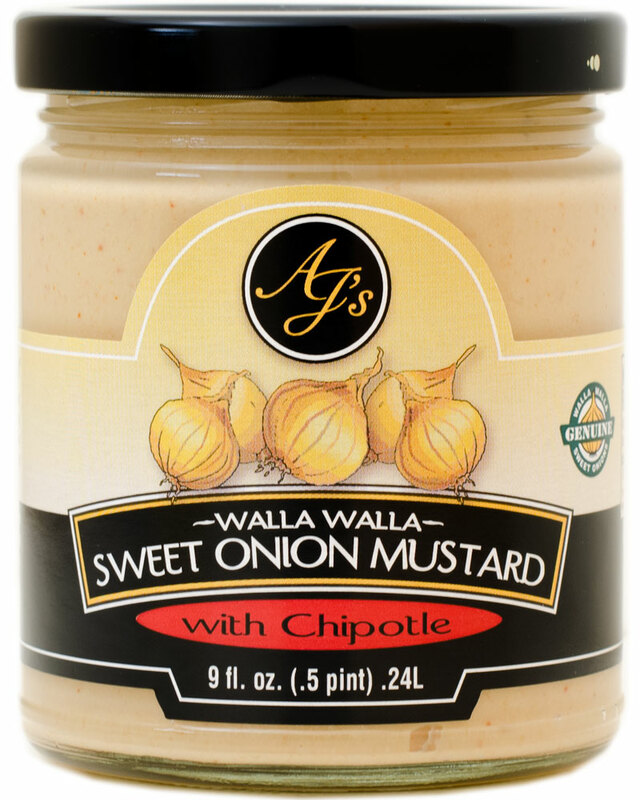 The Chipotle version Walla Walla Sweet Onion Mustard is sure to make your mouth tingle. 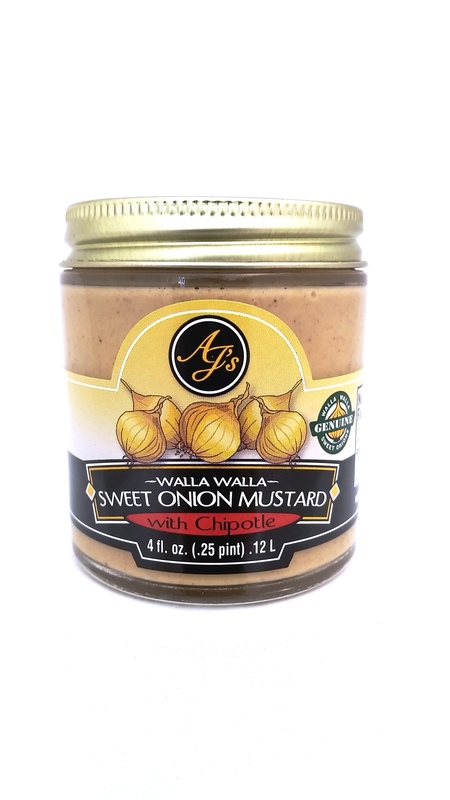 We add flavorful and spicy chipotle peppers to give it some kick. 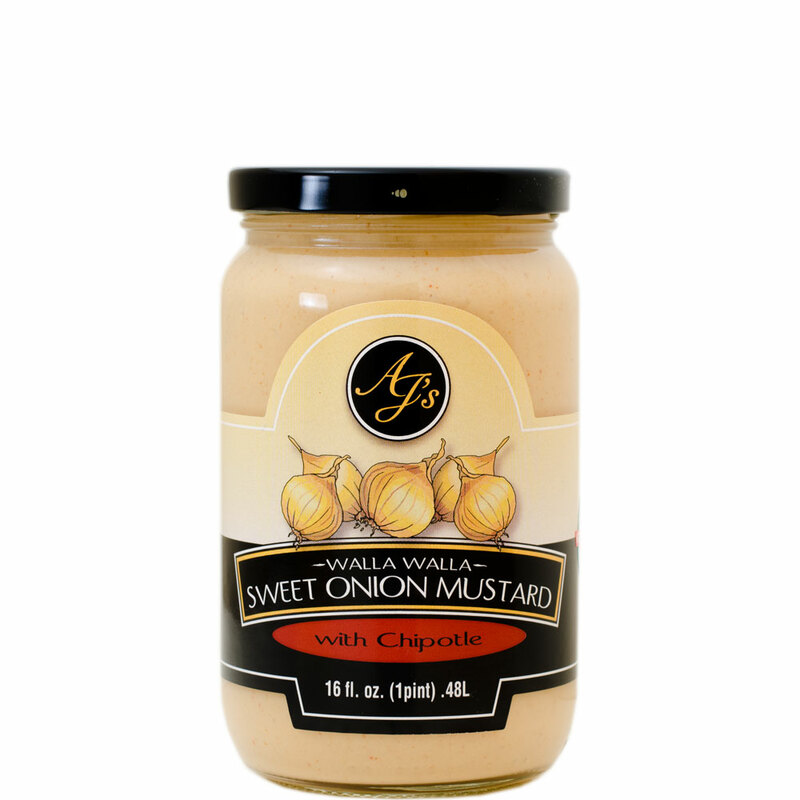 This is sure to make the pepper lover in your family happy. 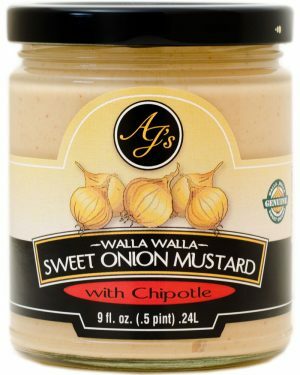 Ingredients: Walla Walla Sweet Onions, white wine vinegar, water, sugar, ground mustard, soybean oil, egg whites, mustard bran, granulated onions, salt, chipotle powder, lemon juice, citric acid, potassium sorbate.